The call for expressions of interest for members of the Enhanced EIC pilot advisory board opened on 18th of March. These high-level experts will assist the European Commission in the implementation of the programme, and shape EU support for innovation within Horizon Europe. The advisory board will consist of 15 to 20 high-level experts, from various domains of Europe's innovation ecosystem, who will be appointed in a personal capacity, acting independently and in the public interest. 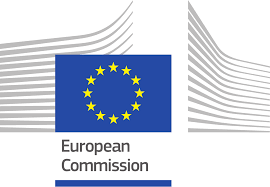 Members shall be appointed by the European Commission Directorate General for Research and Innovation (DG RTD) for a period of two years. In addition, the European Commission may request the EIC Pilot Advisory Board to help identify possible regulatory barriers faced by innovators, in particular those awarded support under the EIC funding activities. The members of the EIC Pilot Advisory Board will also be expected to increase the visibility of the EIC and promote the attractiveness of Europe for breakthrough and disruptive innovation. Interested individuals are invited to submit their application to the European Commission, DG RTD, by way of email with accompanying documents (listed below) to RTD-B3-EIC@ec.europa.eu. Applications must be completed in any of the official languages of the European Union, however, applications in English would facilitate the selection procedure. If another language is used, it would be helpful to include a summary of the application in English. For selection criteria, how to apply, other details of the call please see here. The European Innovation Council (EIC) pilot supports top-class innovators, entrepreneurs, small companies and scientists with bright ideas and the ambition to scale up internationally. It brings together the parts of Horizon 2020 that provide funding, advice and networking opportunities for those at cutting edge of innovation.